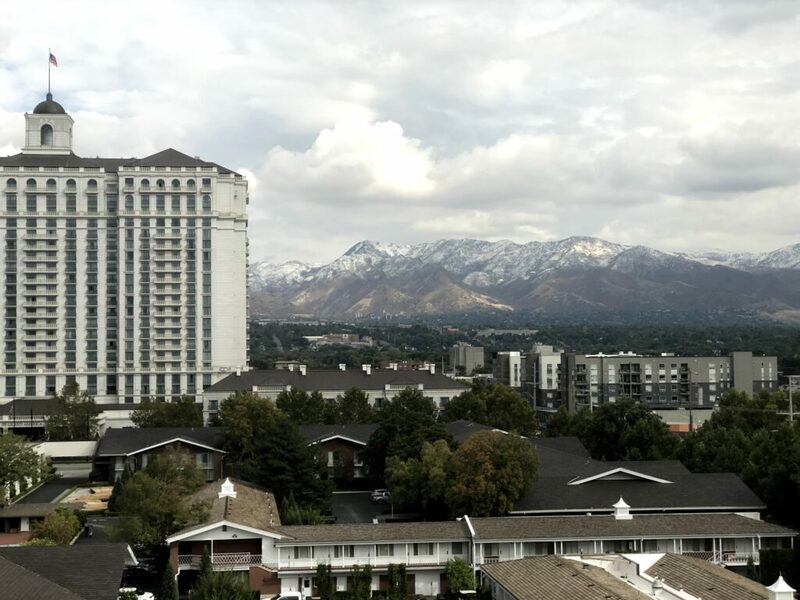 Even when you are a family with a house on wheels, it is nice from time to time to enjoy a real vacation-like atmosphere, and that is exactly what we did when we spent a long weekend in the Salt Lake City area, with the DoubleTree Suites by Hilton as our home base. 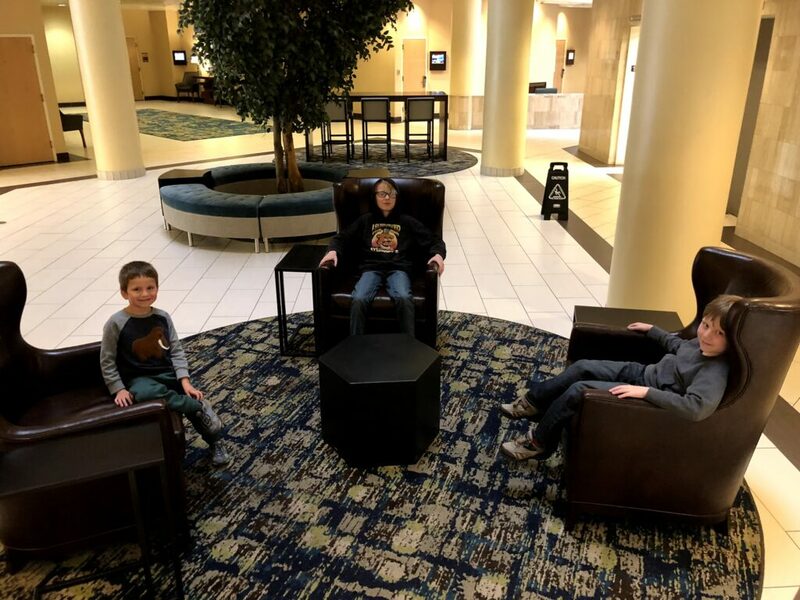 We’ve stayed at enough hotels to know a family friendly one when we see one, and the DoubleTree is made for families wanting to explore the area. From the minute we arrived, we felt welcomed and the staff took great care to interact with our kids and make us feel at home. 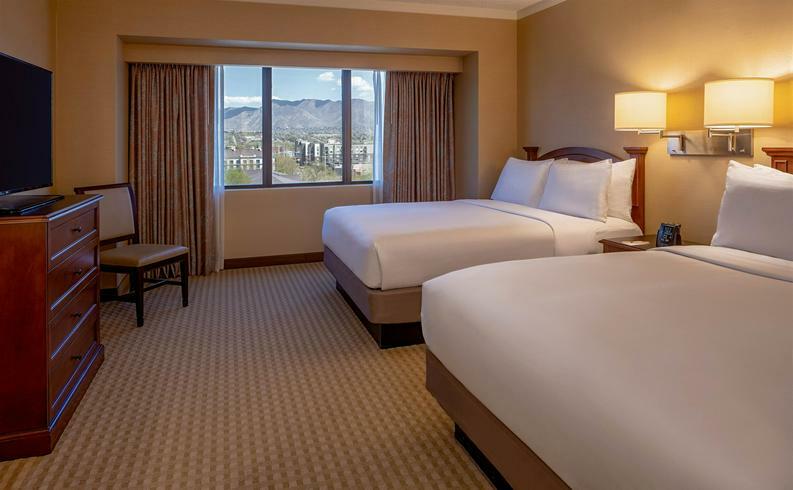 Clean, well maintained, excellent room service and a warm friendly atmosphere make this a top pick for adventuring through Salt Lake City with your family, plus, we were able to park Wander Bus right outside the hotel and keep an eye on her from our hotel room. Double bonus! Our suite offered our family of five more than enough space to stretch out, and included a dedicated work space, microwave, small fridge, large bathroom, and a separate living room with couch and chair and bedroom space with two queen beds. The separate living and sleeping spaces allowed Jason and I to stay up a little later than the kids with no worries that we would wake someone. It is the way to go when staying in a hotel with kids. 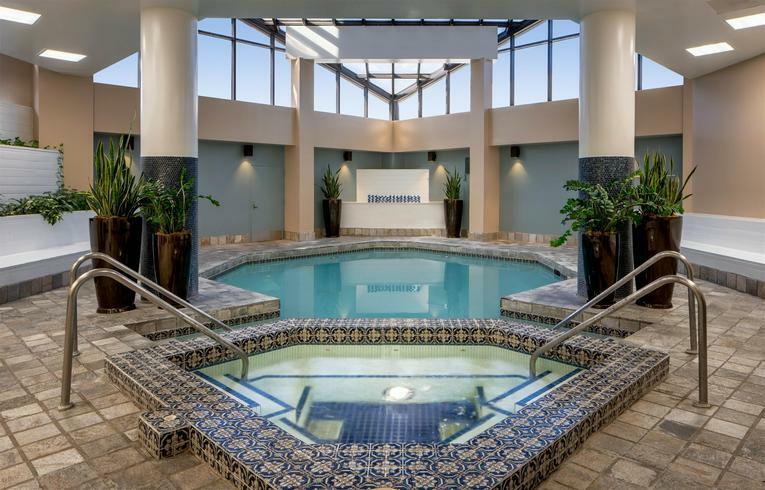 Located in the heart of downtown SLC, the hotel has parking (for a daily fee), on-site indoor pool (which our kids basically lived in), a gym, and a fantastic breakfast buffet featuring enough of a variety to satisfy your entire crew. And the view from our room. Look at that view. View from the window in our bedroom. We were able to access numerous family-friendly attractions using the DoubleTree as our home base, some within walking distance. For a full breakdown of our time in Salt Lake, including even more chat about our hotel, check out episode 66 of the RV Miles Podcast. Many thanks to the DoubleTree for hosting this wandering family and giving us a real vacation experience we won’t soon forget. Coffee drinker, skoolie owner, partner, roadschooler, and parent. Along with Jason, Abby is the co-host of the RV Miles Podcast and America's National Parks Podcast. When not talking National Parks and RV living, you can find Abby talking theater as the managing editor Of PerformInk. Find her on Twitter @abigailtrabue or search Our Wandering Family across all social media. 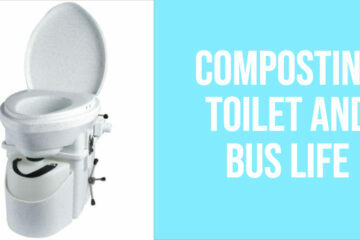 When it comes to bathroom options, the only option for us is a composting toilet, and here's why. 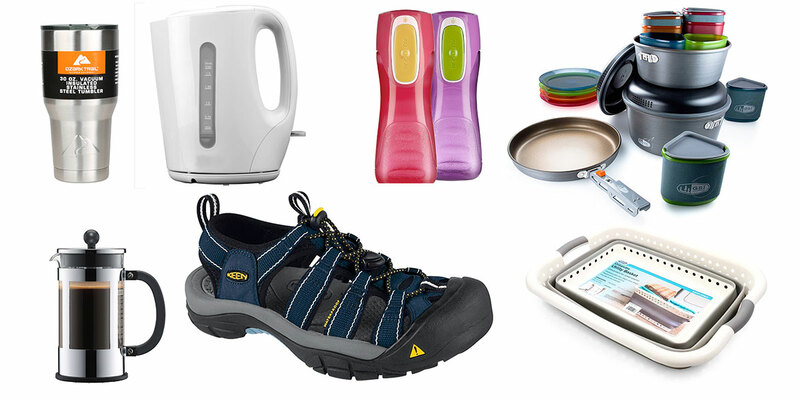 We love cooking outdoors, especially when camping. There's just something about the open air and flame-kissed food. 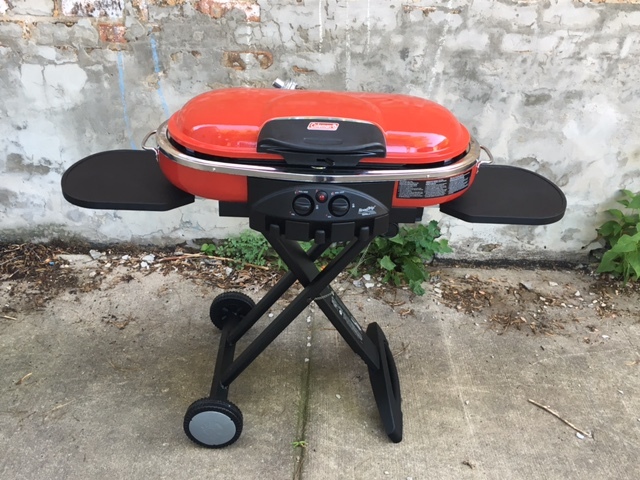 Part of the problem with camping and grilling is that it's just messy as heck.